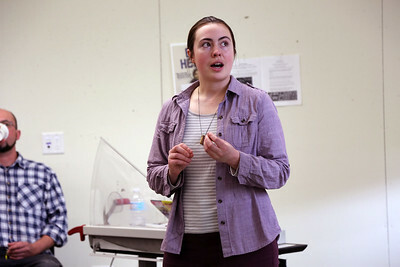 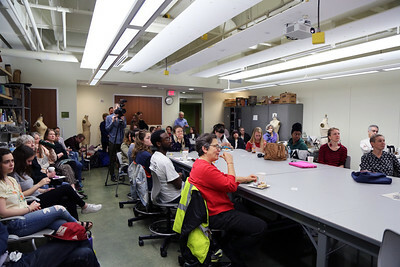 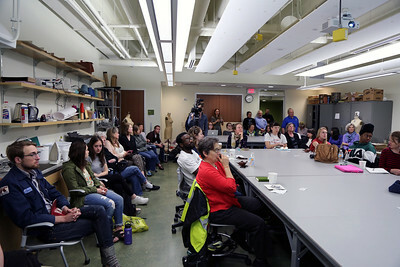 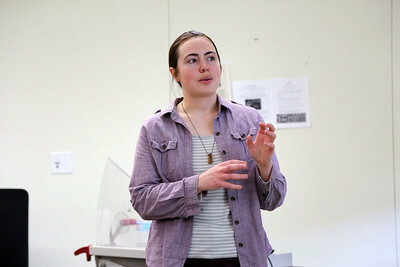 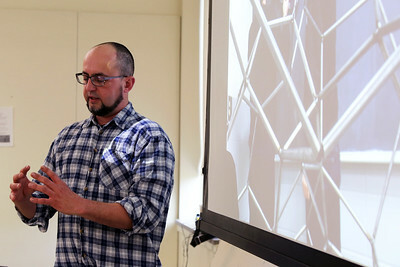 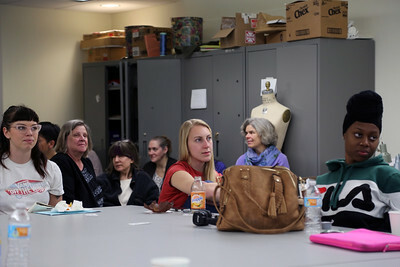 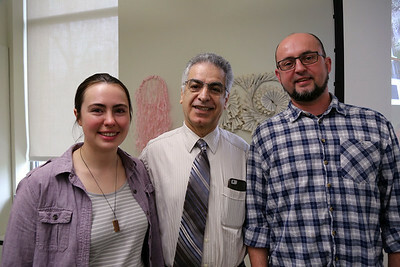 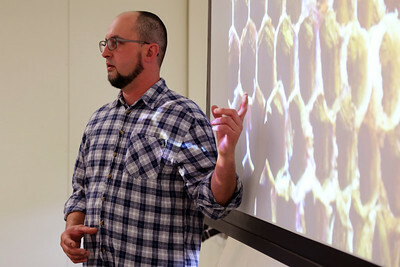 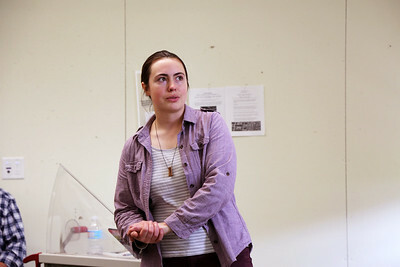 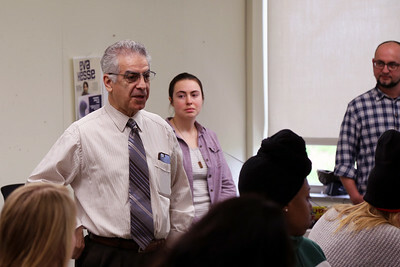 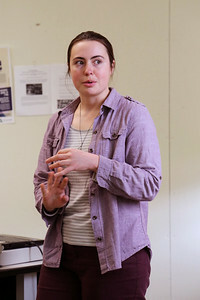 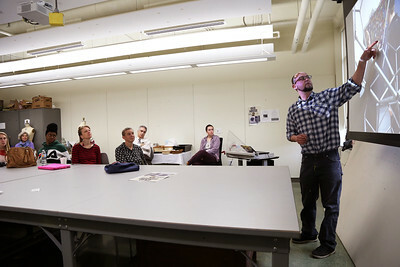 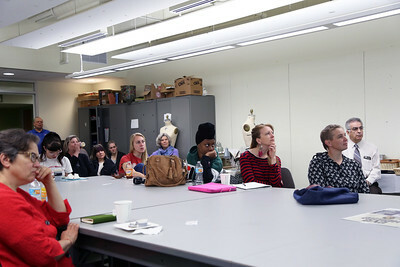 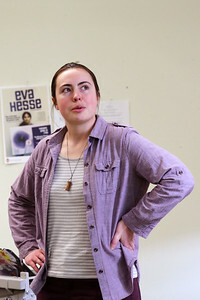 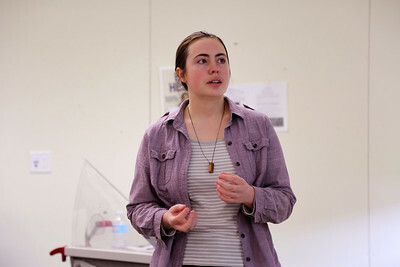 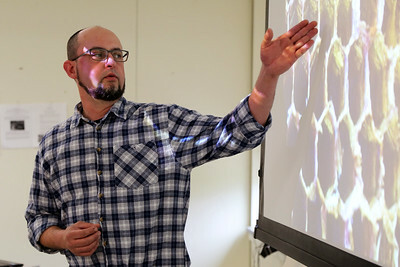 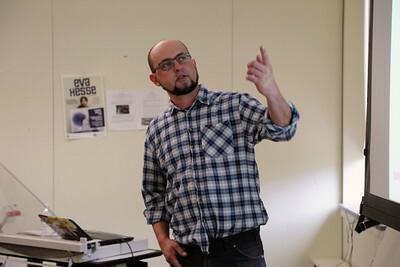 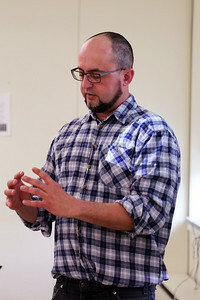 Peter Krsko and visiting artist Katie Schofield presented an artist talk as part of the UW-MANIAC talk series on Wednesday, April 19 in the School of Human Ecology. 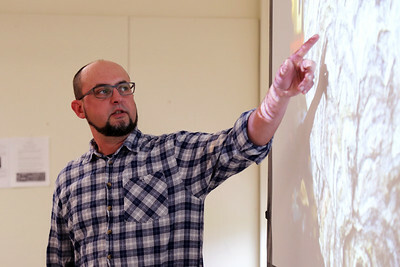 Krsko creates public sculptures and murals to develop unique lesson plans for students. 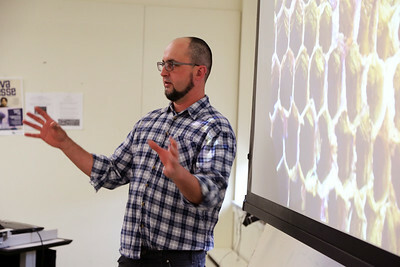 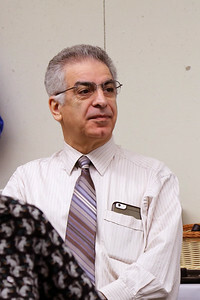 His work, largely inspired by nature, aims to advance bio-inspired solutions and promote a more integrated community bonded by the environment. 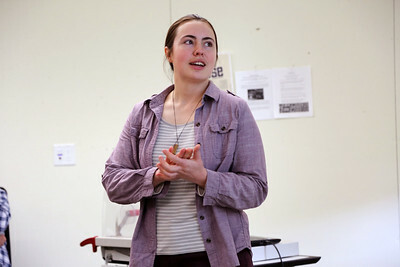 Katie Schofield combines traditional crocheting techniques with new material and hyperbolic geometries. 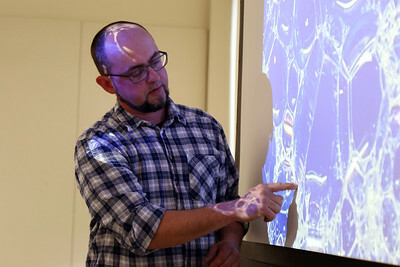 The resulting sculptures share many similarities with sea coral, especially the large surface area to volume ratio. 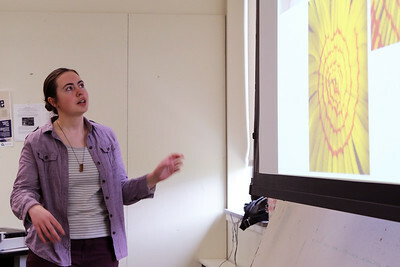 Schofield explores unique ways to maximize the surface area of her pieces by group assemblies of hyperbolic shapes.